Mahogany with crazed varnished surface. Condition: Excellent condition, minor scratches to the surface. 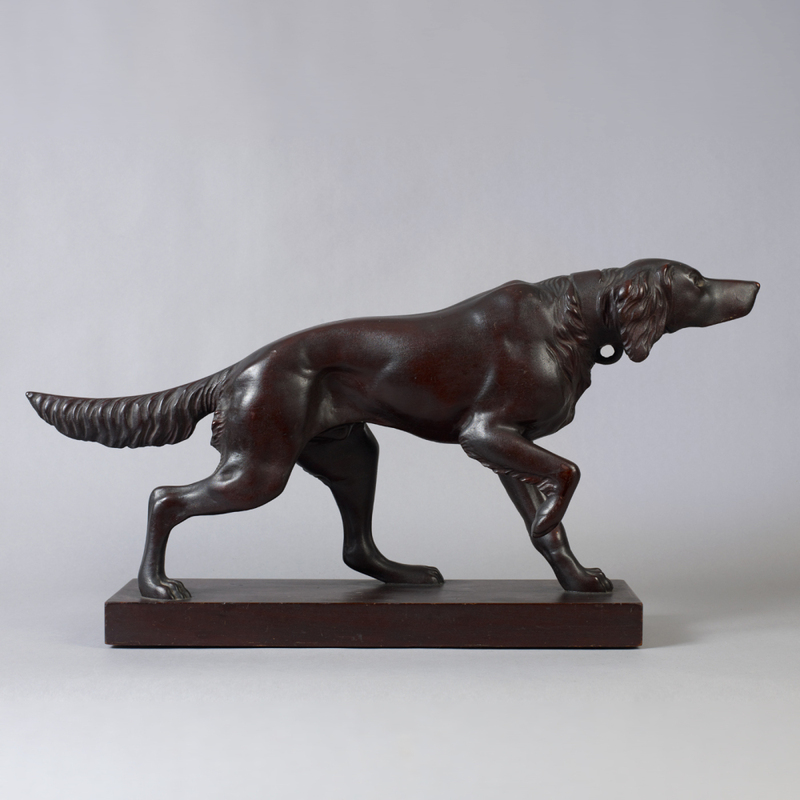 The carved figure of a setter is made of laminated pieces of wood and then skillfully carved. 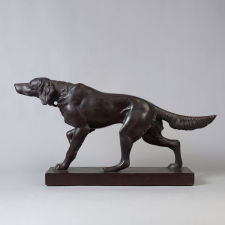 Coupled with the quality of the carving and posturing of the dog it retains a wonderful undisturbed varnish finish which is desirable among folk art collectors.